Competition is addictive. 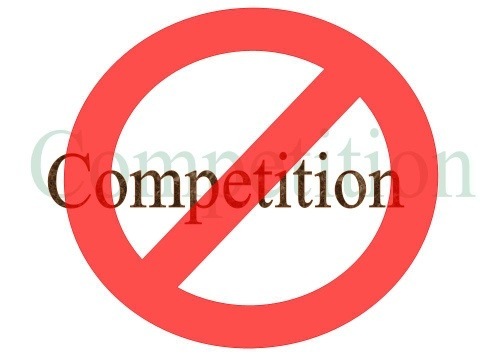 Competition drives the American business model. Competition runs deep in the heart and soul of many people. Can you finish this jingle from years gone by, “My dog’s better than your dog . . .” I admit, wholeheartedly that I am a competitor. I like to win when I play basketball, I like for the team I support to win championships. But competition can often get in the way of positive outcomes. More recently, someone suggested that I am in competition with Satan for souls. At first I had no answer. As I thought more about this my answer is this: God is at war with Satan. Satan is destroying souls and lives. God wants lives rescued from the disaster that Satan causes. I am not competing with Satan, if I do, I lose by a long shot, “Wide is the path that leads to destruction and many there will be that find it.” Maybe this is narrow-minded of me, but I see my role as seeking to rescue folks from sin, not win an argument with them. I present an offer of salvation through the only avenue that can save them – Christ (John 14:6) and let them decide for themselves. I plant the seed and in some cases water the soil or young growth, but it is God who gives the increase. God battles Satan and the victory is His in Christ (1 Cor 15:57).